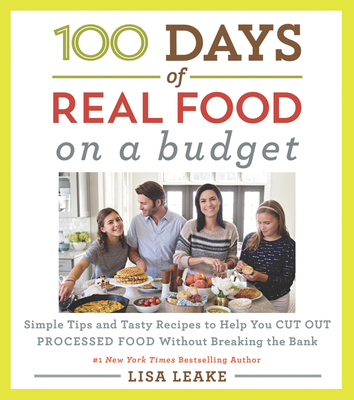 The author of the phenomenal bestselling 100 Days of Real Food series addresses the most common concern of her readers—how to cut out processed food on a tight budget—in this full-color cookbook with shopping lists and prices for each recipe. Millions of American families are discovering the dangers of eating processed food. But wholesome, fresh ingredients can seem more expensive—from buying organic grains, dairy, and produce to the issue of food waste as people learn to plan and cook in new ways. With her hugely popular 100 Days of Real Food blog and her two bestselling books, Lisa Leake has been a leader in helping everyday families move away from processed foods. She also understands the concerns of her followers who want to eat better without breaking the bank! In 100 Days of Real Food: On a Budget she shows readers how to make a variety of unprocessed dishes for $15 or less a recipe. In addition to the wallet-friendly recipes, Lisa shares practical secrets for saving money in the kitchen: learning to plan ahead, getting the best deals on staple items, knowing what to make versus what to buy, growing your own herbs, and even reducing waste—which is currently twenty percent of all food purchased! Lisa Leake is the creator of the wildly popular 100 Days of Real Food blog, which in just a few years garnered more than one million Facebook fans and approximately four million monthly page views. She lives with her husband and two daughters in Matthews, North Carolina.